It's always fun to see what paper crafts your friends are making. Every month, we offer a team swap. It's always fun to see what the other Stampin' Up! Demonstrators on our team are making. There's so much talent and so many creative projects. Of course, there's also prizes and recognition for Sales and Promotions within our team. You're going to love them projects made by this month's Guest Designers. This adorable Bunny Totes were designed by Lori Ballitch, a Stampin' Up! Demonstrator and team member from Mansfield, Ohio. Gingham Gala Designer Paper and the Best Bunny stamp set played key roles in making these sweet Bunny Totes just in time for Easter. Toni Arnold, a Stampin' Up! Demonstrator and team member from Butler, Ohio made this beautiful friends card in a pretty classic color combination of Lovely Lipstick, Basic Black, Whisper White and Old Olive. Her featured product are the Painted Seasons stamp set and the Botanical Butterfly Designer Series Paper. Tara Griffin, a Stampin' Up! Demonstrator and Team Member from Kissimmee, Florida created this sharp Anniversary card with the To have & to Hold stamp set. Didn't see do a lovely job coloring? And Crystal Cleveland, a Stampin' Up! Demonstrator and Team Member from Marengo, Ohio this sharp "Life may not be the Party...we might as well dance" card featuring the Beautiful You stamp set, Petal Promenade DSP and the Corrugated Dynamic Impressions Embossing Folder. If Paper Crafting is part of your life, then becoming a Stampin' Up! Demonstrator really makes sense. Why Become a Stampin' Up! Demonstrator? Make extra income to use for a vacation, make a car payment, use towards a remodeling projects, etc... and do it while sharing what you love, Paper Crafting! Join as a new Stampin' Up! Demonstrator in March, you will have until July 31, 2019 to meet your quarterly minimum of $300. If you meet the minimum you will continue to enjoy the benefits of being a Stampin' Up! Demonstrator. If not, there is no penalty, you will simply be dropped as a Demonstrator at the end of July. And Join during Sale-a-bration and enjoy extra benefits! 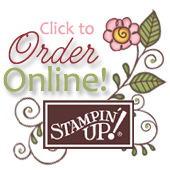 Most Frequently Asked Question About Joining Stampin' Up! Do I have to sell or hold workshops and classes? There's no pressure to sell in order to enjoy the benefits of being a Stampin' Up! Demonstrator. In fact, approximately 80% of all Stampin' Up! Demonstrators are "Hobby Demonstrators". Meaning they simply want to enjoy the discount and other demonstrator perks. That's perfectly okay. But if you would like to make it more, that's okay too! If you love Paper Crafts, being a Stampin' Up! Demonstrator is certainly a fun way to earn extra income for family fun. Either way, I would love to have you join my Stampin' Up! Team! Give me call (419-560-5014) and we'll set aside a time to chat. There's no pressure to sell in order to enjoy the benefits of being a Stampin' Up! Demonstrator. In fact, approximately 80% of all Stampin' Up! Demonstrators are "Hobby Demonstrators". Meaning they simply want to enjoy the discount and other demonstrator perks. That's perfectly okay. But if you would like to make it more, that's okay too! If you love Paper Crafts, being a Stampin' Up! Demonstrator is certainly a fun way to earn extra income for your family. Either way, I would love to have you join my Stampin' Up! Team! Lori Ballitch, a Stampin' Up! Demonstrator and team member from Mansfield, OH shared a project that is pure cuteness. The little Mini Pizza Box wowed us enough, then we opened it up to find 5 adorable cards with matching envelopes. Lori used the Amazing Life stamp set along with the Piece of Cake stamp set and the coordinating Cake Builder punch. Love the little polka dots that she added to her Mini Pizza Boxes with a pencil eraser and ink. Isn't she clever! Carol Dennison, a Stampin' Up! Demonstrator and Team Member from Mansfield, Ohio had us all oohing and ahhing over her Suede or Leather look. How perfect that she used the Let it Ride stamp set to compliment her leather. It really does feel like suede or leather! For another fun twist, her Fun Fold Card opens up to say, "Live as if someone left the gate open." Crystal Cleveland, a Stampin' Up! Demonstrator and team member from Marengo, Ohio always has some cute 3-D project to share. Love the way she tucked her suckers in her folded Designer paper and topped them off with cute animals complete with googlie eyes. Ann Bloomfield, a Stampin' Up! Demonstrator from Chesterville, Ohio made a card that is so simple, yet so beautiful. She let her Needlepoint Nook Designer Paper do the heavy lifting. She lifted her color choices from the her gorgeous stitched look paper. She stamped the sentiment with Poppy Parade ink and punched it all out with the pretty label punch. Tara Griffin, a Stampin' Up! Demonstrator and Team Member from Kissimmee, Florida dazzled us with her beautifully simple Wedding Card. Petal Promenade Designer Paper beautifully compliments the lovely bride. To add a bit of luster to her bride, Tara brushed her gown with her Wink of Stella brush. What a perfect finish. I couldn't help but smile when Crystal Cleveland, a Stampin' Up! Demonstrator and team member from Marengo, Ohio referred to her project as Piggy Popcorn. She's always making special treats for her grandchildren. Piggy Popcorn is popcorn drizzled with white chocolate and dotted with MnMs. What a delightful salty sweet treat! You may recognize the little pig from the This Little Piggy stamp set.